For the term "Black Watch". Fred. Olsen Cruise Lines was delighted to welcome a VIP delegation of travel agents, media partners, local dignitaries, tourism organisations and Member of Parliament for Dunfermline and West Fife, Douglas Chapman, on board its 804-guest ship, Black Watch, at the Port of Rosyth on Wednesday 4th October 2017. Fred. Olsen Cruise Lines’ 804-guest ship Black Watch is due to commence her cruise season from Rosyth, for Edinburgh, Scotland on 14th August 2017, with a seven-night ‘Lochs of Scotland’ sailing. In total, Fred. Olsen will be offering eight cruises from Edinburgh (Rosyth) aboard Black Watch this year, until 14th October 2017– an increase of one turnaround call since 2016. Fred. Olsen Cruise Lines will be commencing its 2017/18 cruise season from Dover on 4th June 2017, with a sold-out seven-night ‘Phenomenal Fjords of Norway’ itinerary, aboard its elegant 804-guest Black Watch. Fred. Olsen Cruise Lines’ 804-guest Black Watch will be entering dry dock at the Blohm + Voss shipyard in Hamburg, Germany in November 2016, in preparation for the forthcoming 2017/18 cruise season. Kirkwall, historic capital of the Orkney Islands, celebrated a milestone 1,500th cruise call on 10th August 2016, with the arrival of Fred. Olsen Cruise Lines’ Black Watch. Fred. Olsen Cruise Lines’ 804-guest ship Black Watch is due to commence her cruise season from Rosyth, Scotland on 20th August 2016, with a five-night ‘Norwegian Fjords’ sailing. Fred. Olsen Cruise Lines can confirm that Black Watch set sail from the UK on Sunday 17th July 2016, on her 26-night W1610 ‘Arctic’ cruise. The ship’s next port of call will be Kristiansund, Norway on Wednesday 20th July 2016. Fred. 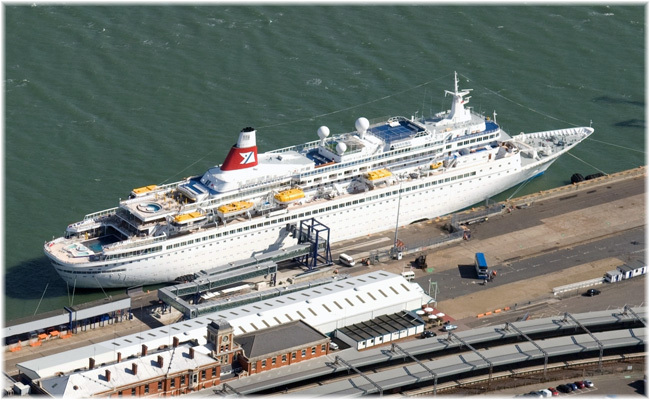 Olsen Cruise Lines will return to Belfast in Autumn 2015, with three cruises on board 804-guest Black Watch. There is no longer any cargo-passenger service between Europe and Canada so for those who cannot get space anywhere else Fred. 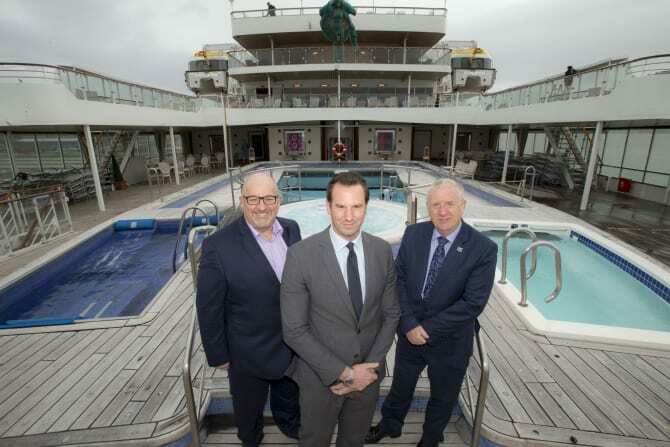 Olsen Cruise Lines is operating two Transatlantic voyages between Liverpool and Montreal this spring and there is still space remaining. Fred. 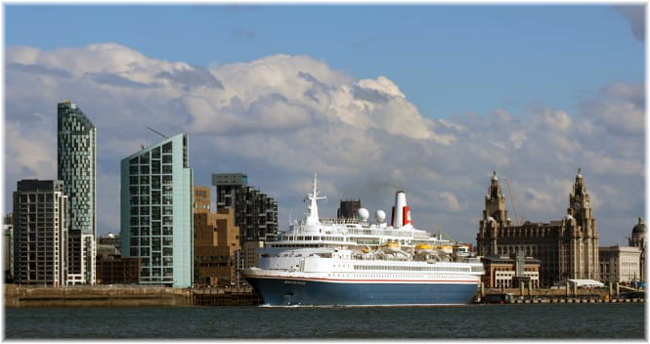 Olsen Cruise Lines’ 804-guest ship Black Watch is due to commence her first-ever cruise programme from Liverpool’s Pier Head Cruise Terminal on 31st March 2015, with a 13-night ‘Canary Islands Easter’ cruise. Guests on board Fred. Olsen Cruise Lines’ three ships Black Watch, Boudicca and Braemar are eagerly awaiting the awe-inspiring total solar eclipse on Friday 20th March 2015.